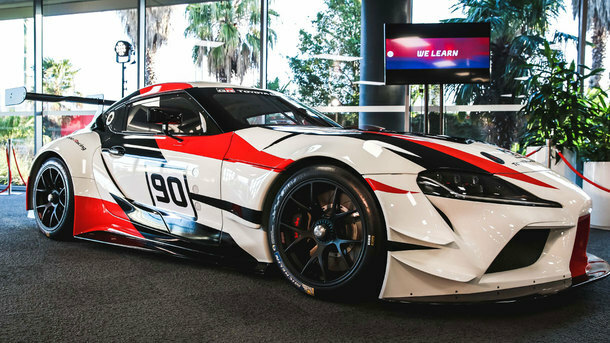 Fresh from the Goodwood Festival of Speed, the Toyota GAZOO Racing Supra Racing Concept vehicle was displayed at an exclusive one-day event in the foyer of Toyota's Corporate Headquarters in Port Melbourne. The vehicle was flown in from the U.K. to first be showcased at Toyota's National Dealer Conference in the Hunter Valley before being moved to Toyota Australia's Melbourne headquarters. It was the first time that the vehicle was shown in Australia and the first Toyota sports car concept to be displayed locally since 2011. The GR Supra Racing Concept strongly hints at the final production version of the vehicle that will be available globally from 2019. 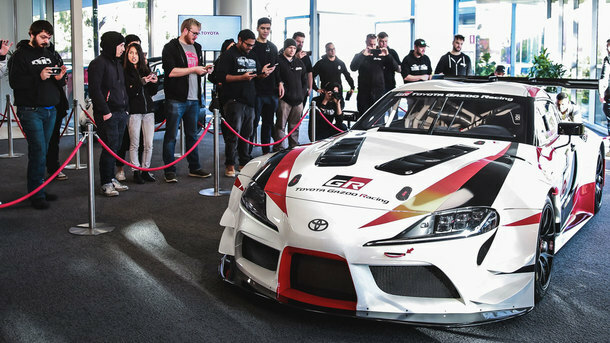 Toyota Australia's Manager of Public Affairs, Brodie Bott, said that with the huge public interest in the latest generation A90 Supra, it was the perfect opportunity to share it with employees and Toyota fans. "The interest in Supra has been steadily growing since we unveiled this concept at Geneva. 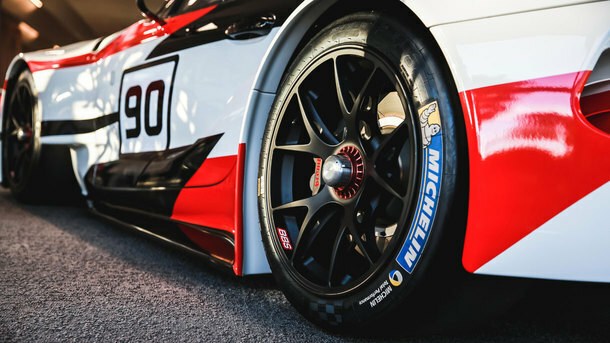 We are very excited to be able to show off this unique racing concept of the Supra here with its fans," Mr Bott said. While there are no confirmed plans for its reintroduction to Australia, Toyota Australia was working hard to secure the A90 Supra for the local market. "We are working very hard and are in the final stages of securing this vehicle for a return Australia and hope to be able make an official announcement about Supra's return very soon," he said. 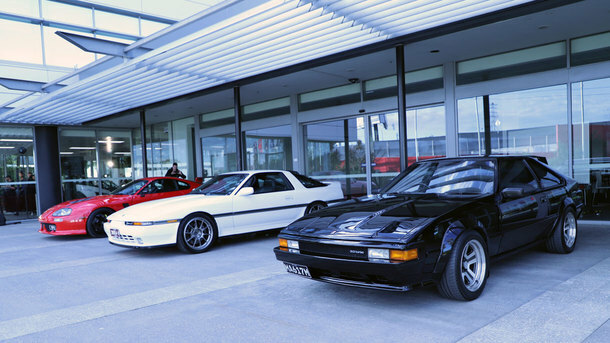 The Victorian Supra Car Club was present for the exclusive event and had three generations of past Supras on display. Their members were very excited at the prospect to see this racing concept car. "It's smaller than what I expected, but it's really impressive. I really hope we can get Supra back to Australia," Club President Ryley Fry said. "If Toyota Australia confirms it, I'll be the first one in line to leave a deposit." The new Supra is now on its way back to Europe after its brief stay in Australia to continue to build excitement around the world for this latest generation vehicle before it becomes available globally in 2019. As part of this event, Toyota also had one of its i-Road personal mobility vehicles on display that will feature at the Olympic and Paralympic Games in Tokyo in 2020. The small electric vehicle (EV) combines the potential of a car and bike in one package with its lean-in cornering ability. Its futuristic and funky styling showcases another one of the solutions that Toyota is developing on its journey to cover the full spectrum of mobility. Mr Bott said the i-Road shows that Toyota is committed to making vehicles that will be fun to drive. "Whether it is a racetrack or a narrow city street, we are keen to show through our concept vehicles, like the ones displayed at our corporate headquarters, that Toyota is thinking deeply and broadly about all the mobility solutions that will be needed in the future," Mr Bott said.